How efficient is your pool pump? Your swimming pool pump is probably one of the highest energy consumers in your household and few people have ever bothered optimising its use. The rule of thumb is that all the water in your pool needs to be filtered once daily. Yes, doing it more wouldn’t hurt but you only really need to do it once to ensure you have a sparkling clean pool. I can almost guarantee that your pool pump works harder than it should be and I’m about to show you how to find out. So what you need to do is find out two things – the total amount of water in your pool and the flow rate of your pump. To work out the volume of your pool is simple, you could probably even ask your 10 year old to do it for you. But I will remind you anyway. Volume is area x depth, so work out the surface area of your pool (length x breadth) and then multiply this with the average depth. You will get a number which is in cubic meters. For example, a pool 10m long, 5m wide and 2m deep has a volume of 100m3. Now regarding your pump. Some pumps don’t display the flow rate on the pump itself, so if yours does not just give the manufacturer a call and they will tell you. Trust me, do this. Your pool gobbles up more power than you think so it’s worth your while. You should get a number which describes the flow rate, something like 50 or 100 litres/minute. This is an indication of how many litres the pump can push through the filter every minute. So you will use this information to work out how many minutes (or hours) your pump needs to be operated to circulate the total volume in your pool. I think you will find it to be a lot less than you currently have it programmed for. Let’s give you an example. I went past my folks’ place this week and asked my Dad how many hours his pool pump was on for. After a brief expression of something between confusion and defence, the response was “well, all day of course”. Turns out the pump was on from 8am to 6pm, a total of 10 hours. A quick call to the pump manufacturer revealed his 1kW pump has a flow rate of 100 litres/minute. This means that the pump can process 6000 litres an hour, or 6m3 an hour. Now his pool is about 8 x 3 x 1.5m, a total volume of 36m3. So to pump the entire volume of water through the filter needs only 6 hours of pumping a day. This means his pump is on for almost twice as long as it should. He was devastated! Total annual savings after me fiddling with the settings = R1168 (@R0.8/kWh). The new expression after I had showed him this calculation = priceless. Naturally I have asked that half these savings are deposited into my account annually. Should I convert my pool pump to solar power? No! Why not? It would be too expensive and not worth it. This entry was posted in Energy Efficiency, Gary Fahy and tagged energy savings, Gary Fahy. Bookmark the permalink. very interesting. but I guess this information is based on a pools that use granular chlorine. with salt water chlorinators, the pump has to be running for the chlorinator to generate chlorine from the salty water. It would be very useful to see a follow up piece that does the equivalent analysis of a salt water chlorinator vs hours vs pool voume. What about scenarios where one uses a pump for a Koi pond. Mine needs to run 24/7 too keep the fish and filter bacteria happy … I am looking for options here. My pool has solar heating.In order to get the maximum benefit for solar heating how long should the pump run and at what time should the pump switch on and off. (Cape Town Tariff : Domestic 2 low <400units, July 2008 , incl VAT). (kWh meter incorporated in circuit). "OLD" vs "NEW" : shorter run time by increasing pump, filter and chlorinator size (2 in tandem) in summer and covering pool over with rain-shedding lightproof cover in winter. Increased costs recovered in 4-5 years . Thanks for that info Anthony – very helpful! it doess not answer the uestion- what does a solar pool pump cost?it will be a 100% saving of all electricity currently used. R5000/ nnum? can that not be used elsehwere/ more wisely? Or simply saved!! Solar pumps cost about R40,000 plus. 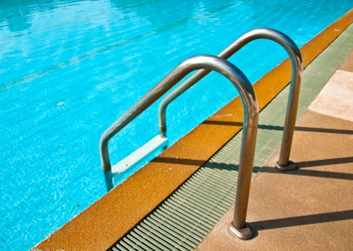 Saltwater pools are on the rise as an option to conventional chlorine-based pools.